Our focused positioning within the consumer sector represents an importantly differentiated offering of strategic capital geared to passionate founders seeking to both elevate and extend their brands. We take a flexible and highly targeted long-term approach to truly partnering with innovative global brands. Strategically partnering with global brands in the luxury, disruptive consumer-based technologies, beauty, and health and wellness segments. Thom Browne is a leading global luxury ready-to-wear and accessories brand. The brand is offered in leading department store and specialty boutique doors across twenty-five countries as well as online and through flagship stores, concessions and franchise stores in New York, Tokyo, Hong Kong, Seoul and London. Thom Browne has been honored with the CFDA Menswear Designer of the Year Award in 2006, 2013 and 2016 the GQ Designer of the Year in 2008 as well as the Cooper Hewitt National Design Award in 2012. Rossignol is one of the world’s leading winter sports brands, with a strong heritage from its origin in the French Alps in 1907. As the world’s leading producer of skis, Rossignol enjoys seemingly universal name recognition among athletes – a brand familiarity that has helped the company launch into adjacent winter sports and new areas of equipment, including cross-country skis, ski boots, poles, snowboards, helmets, bindings, accessories and a full collection of men’s, women’s, and children’s clothing. Farfetch provides independent high end fashion boutiques with a smartly edited ecommerce retail presence. Farfetch serves as a vital partner to boutiques in a highly dynamic retail environment characterized by shifts away from more traditional sales channels. Most independent boutiques lack the resources and expertise to profitably expand into ecommerce on their own. Boutiques are able to generate meaningful online sales via Farfetch while maintaining focus on their brick and mortar presence. The RealReal is a leader in authenticated luxury consignment, re-defining the experience of online buying and selling in the circular economy for luxury goods. The Company’s comprehensive omnichannel model provides an efficient and frictionless consignment luxury experience that drives high customer engagement and sector leading loyalty rates. The RealReal’s market leading position is further reinforced by the company’s unparalleled trust among consumers and expansive logistics infrastructure. Karl Lagerfeld, a world-renowned luxury fashion designer, has worked on a variety of high-profile fashion and art related projects, most notably as head designer and creative director for Chanel. In 2011, Mr. Lagerfeld leveraged his design capabilities to establish the Karl Lagerfeld brand. Headquartered in Amsterdam, the Karl Lagerfeld Group BV is a global fashion house embodying the iconic designer’s style and image. The company’s offering is focused on accessories including eyewear, watches, wallets, bags, shoes, jewelry, and fragrances. 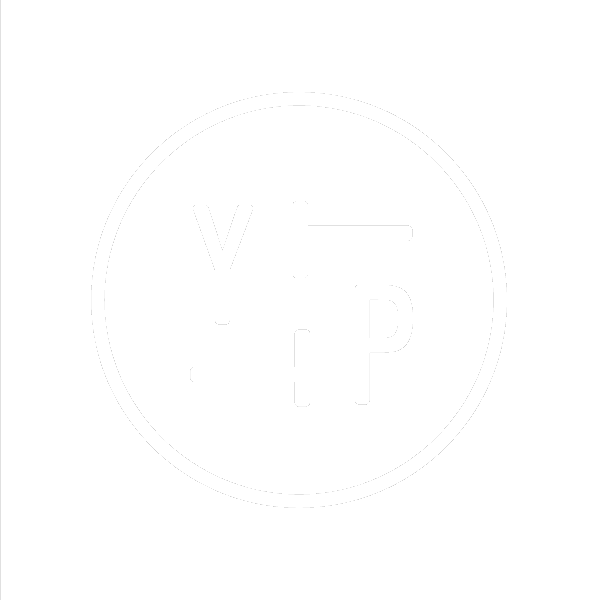 Youth to the People is a premium high growth skin care brand with “clean” product formulation positioning, oriented to the modern consumer. The brand’s innovative superfood powered product line is driving strong growth in existing Sephora accounts and online. Derek Lam is a fashion house known for its modern and luxurious take on contemporary women’s apparel. With its globally renowned Derek Lam Collection line (“DL Collection”) and more accessible Derek Lam 10 Crosby diffusion line (“Derek Lam 10 Crosby”), the Company is well positioned to become a premier American luxury lifestyle brand. Founded in 2001 by Tony Shure and Colin McCabe, Chopt is a pioneer in the rapidly expanding fast casual salad category. With over 55 current locations, the Company offers a broad array of pre-designed and customizable salads, flavorful dressings, grain and hot-top salads, wraps, and home-brewed iced teas and lemonades. Chopt’s flavor-forward approach to delivering fantastic, high-quality, craveable offerings has made it the leader in the category. Stio is a high-growth direct-to-consumer outdoor apparel brand, with an authentic design ethos emanating from the mountain lifestyle. The Company combines style and fit with technical backcountry functionality, resulting in a highly desirable product range. Stio’s established omni-channel platform positions the Company to continue taking share in the attractive outdoor apparel and accessories market. Topshop is a leading fast-fashion branded apparel retailer based in England with a growing presence in the United States and other international markets. The Company operates through more than 300 owned stores in the U.K. and U.S.A., a global e-commerce business and franchise stores in more than 30 countries. The Company has a loyal base of customers and is known for consistently being first to market with the latest runway trends and fashion at attractive prices. Tamara Mellon, OBE (the co-founder of Jimmy Choo) launched her eponymous DTC lifestyle brand following the sale of Jimmy Choo to Labelux Group in May 2011. Tamara has earned international acclaim as a leading consumer brand entrepreneur, fashion icon, business ambassador and philanthropist, spanning a two decade career in which she built Jimmy Choo from a London based start-up into a vaunted global luxury brand. BackJoy is a high-growth health and wellness brand with a growing reputation as the trusted source for posture support products. Backjoy’s expansive and innovative product offering introduces postural protection for all aspects of life, with solutions that cover both back pain and proactive wellbeing. The company sells its products through an efficient global supply chain and distribution system that spans 40+ countries via regional hubs in the U.S., Asia and Europe. Our extensive global network of leading industry professionals combines highly specialized consumer brand expertise with active value creation for our partner companies. Ken is Founding Managing Partner at Sandbridge Capital where he Chairs the Investment Committee. He serves on the boards of Derek Lam International LLC, Youth To The People, and Acamar Partners, is a Board Advisor to Rossignol Apparel and is the former Chairman and current board advisor to Thom Browne, Inc. Prior to co-founding Sandbridge Capital, Ken held various senior investment roles focused on consumer investments at funds including The Strand Partners, JMB Capital and Palmyra Capital. Ken has a B.A. from Pomona College and an MBA from The Stanford Graduate School of Business. Joe is Founding Managing Partner at Sandbridge Capital. Joe has served as the President of T Capital Management, LLC, a private investment firm where he is a business and investing partner with Tommy Hilfiger. Prior to 1998, Joe was a partner and attorney for the law firm Graham Curtin where he specialized in Mergers, Acquisitions Tax and corporate transactions. Joe serves on the board of Derek Lam and the Villanova University Provost Board. He has a J.D. from Seton Hall Law School and a B.S. in Finance from Villanova University. Richard is a Principal at Sandbridge Capital where he is responsible for analyzing and executing new transactions. He is also active in helping monitor the Fund’s existing portfolio investments, including serving on the board of Stio. Prior to joining Sandbridge Capital, Richard was a Vice President with Credit Suisse in their Los Angeles and Asia coverage offices, where his responsibilities included originating, structuring and executing capital markets and M&A transactions. He graduated from the University of Georgia with a B.B.A. in Finance. Mr. Hilfiger is the founder of iconic fashion brand, Tommy Hilfiger which was sold to PVH Corp for $3.0b in 2011. Mr. Hilfiger remains active with the Tommy Hilfiger brand. Mr. Liu is the founder of JD.com, one of the largest global e-commerce companies, with sales of over $35 billion. He currently serves as JD.com’s Chairman and Chief Executive Officer. Mr. Powers is a Founding Partner of Sandbridge and an investor and philanthropist. Mr. Powers also serves as Founder and Partner of Aspen Highland Partners and has served on numerous boards and committees including PIMCO’s investment and executive committees, Stanford GSB Dean’s Advisory Committee, a Senior Advisor of JRK, Kennedy Center Trustee as Presidential Appointee, and LA Phil Executive Committee and Hollywood Bowl Chairman. Ms. Baxter served as President and CEO for Dior Couture in North America in addition to heading up LVMH Perfumes & Cosmetics. Prior to LVMH, Ms. Baxter held various leadership roles in her 23 year career with Estee Lauder. Mr. Villepin was Prime Minister of France from 2005 to 2007. During this time, he notably led major legislation to grant more flexibility to small businesses within the French job market.